Marks/Label: Imprinted at bottom left of photo "Vandyk / London" and a rectangular stamp on back with text inside reading 'VANDYK / 41. BUCKINGHAM PALACE RD. / LONDON, S.W.I. / NEGATIVE NO '490 A' (handwritten) / ESTABLISHED IN GREAT BRITAIN SINCE 1860"
Attributed to Major Harold Bryson. 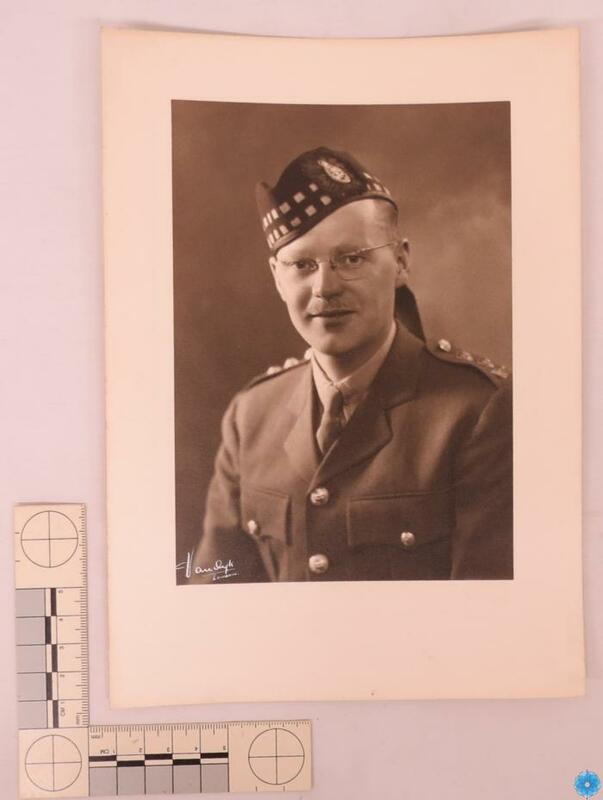 Description: A black and white photograph with beige matte of a named North Nova Scotia Highlanders officer.